Old Bank House Dental Surgery offers high quality dental implants to both self-referred and dentist-referred patients. We use the highest quality implant materials from Biohorizons and Regent Dental Laboratory to give you the best result possible. Following your initial consultation, we will discuss with you the most cost effective and appropriate treatment for your individual circumstances. With specialised training in implant procedures in both Europe and the USA, Neil has performed over 1,000 implants procedures over the last 15 years. 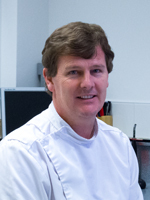 Neil has developed a reputation for clinical excellence in implant procedures and often treats patients referred from other dentists for more complex implant requirements, including bone grafting if required.